Sometimes the Android Security team publishes reports or white papers. Here are some of the most recent. This report covers everything that Google did for Android security and privacy in 2018. 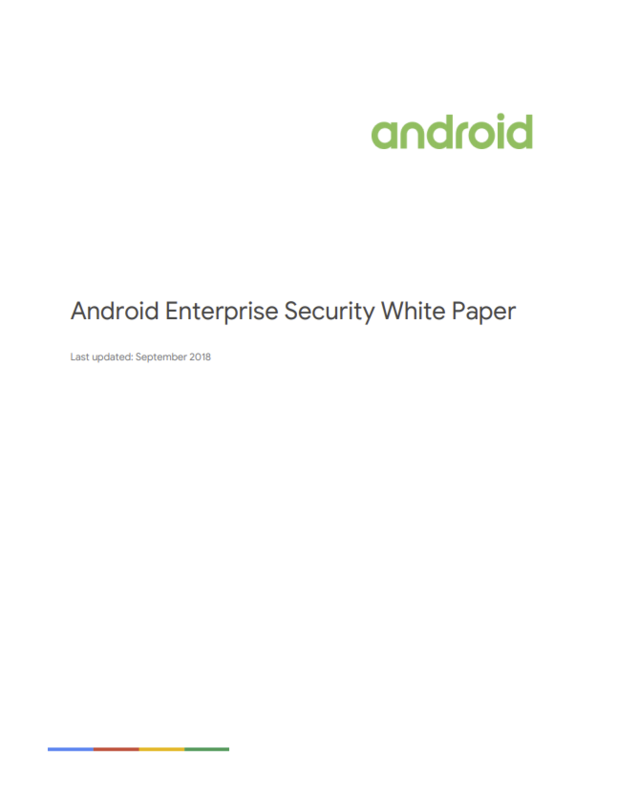 This security white paper outlines the approach Android takes to mobile security for enterprise customers, and details the strengths of the Android platform, the range of management APIs available to enforce control, and the role of Google Play Protect in detecting threats. This report covers everything that Google did for Android security in 2017. This report covers everything that Google did for Android security in 2016. 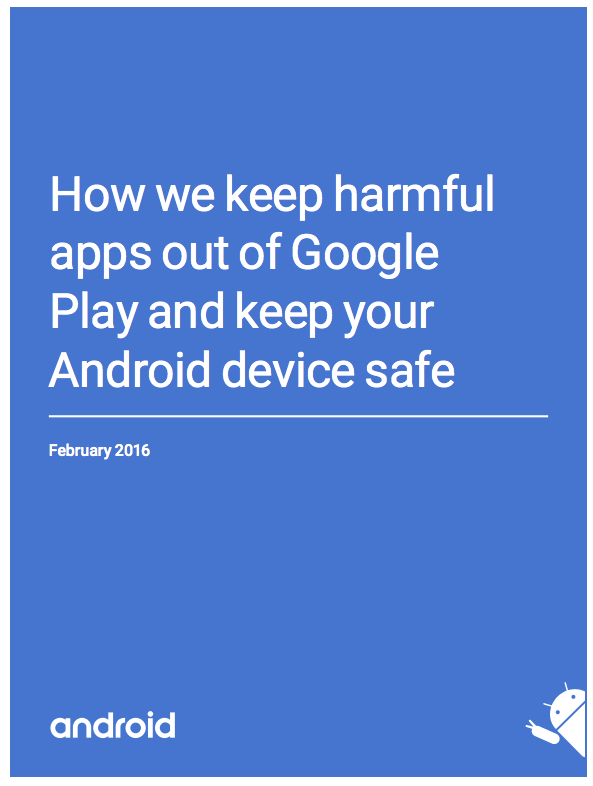 This report covers everything that Google did for Android security in 2015. This report covers everything that Google did for Android security in 2014. This white paper covers some of the ways the Android Security Team reviews and detects apps that pose a potential security risk to users or their data. 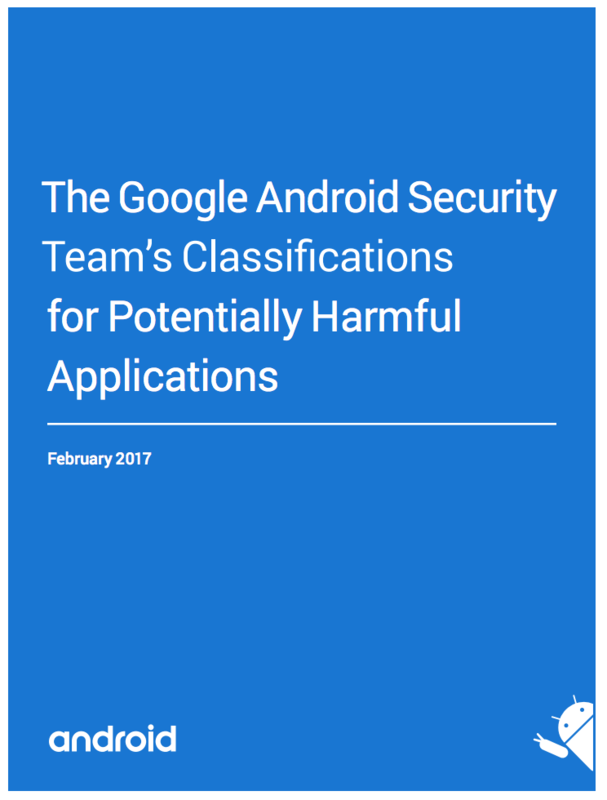 This report covers the Android Security Team’s taxonomy for classifying apps that pose a potential security risk to users or their data.